Northern Europeans in the Neolithic period initially rejected the practice of farming, which was otherwise spreading throughout the continent, a team of researchers has found. Their findings offer a new wrinkle in the history of a major economic revolution that moved civilizations away from foraging and hunting as a means for survival. "This discovery goes beyond farming," explains Solange Rigaud, the study's lead author and a researcher at the Center for International Research in the Humanities and Social Sciences (CIRHUS) in New York City. "It also reveals two different cultural trajectories that took place in Europe thousands of years ago, with southern and central regions advancing in many ways and northern regions maintaining their traditions." CIRHUS is a collaborative arrangement between France's National Center for Scientific Research (CNRS) and New York University. The study, whose other authors include Francesco d'Errico, a professor at CNRS and Norway's University of Bergen, and Marian Vanhaeren, a professor at CNRS, appears in the journal PLOS ONE. 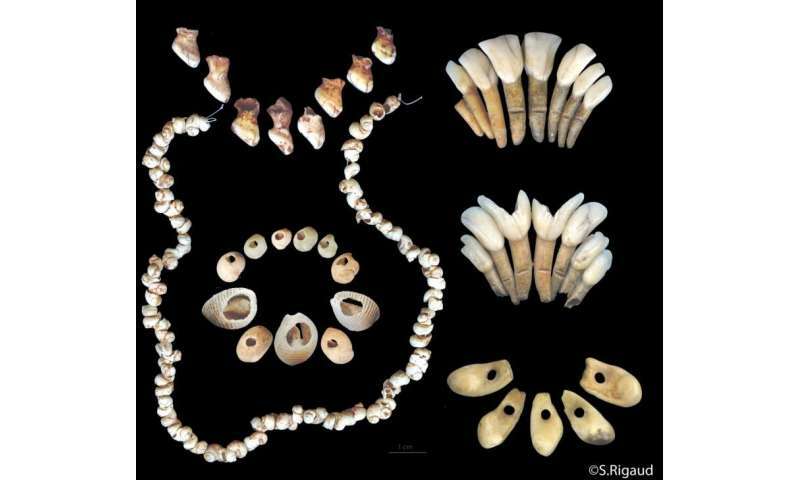 Their results show the spread of ornaments linked to farmers—human-shaped beads and bracelets composed of perforated shells—stretching from eastern Greece and the Black Sea shore to France's Brittany region and from the Mediterranean Sea northward to Spain. By contrast, the researchers did not find these types of ornaments in the Baltic region of northern Europe. 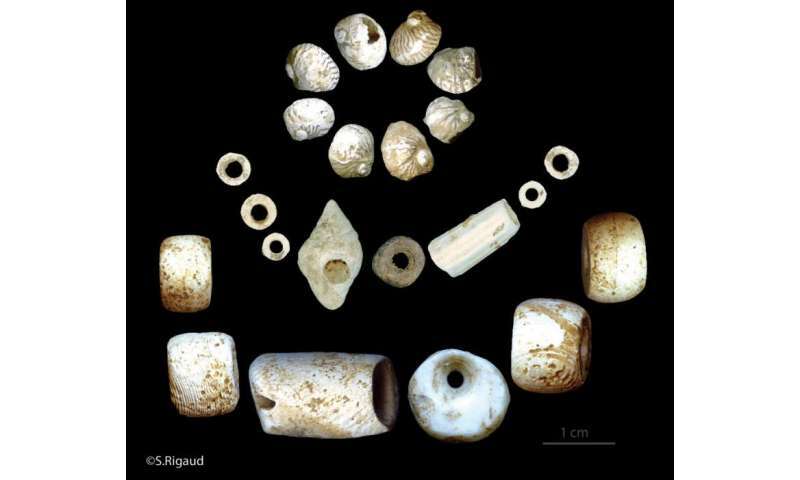 Rather, this area held on to decorative wear typically used by hunting and foraging populations—perforated shells rather than beads or bracelets found in farming communities. "It's clear hunters and foragers in the Baltic area resisted the adoption of ornaments worn by farmers during this period," explains Rigaud. "We've therefore concluded that this cultural boundary reflected a block in the advancement of farming—at least during the Neolithic period."